For more than 4000 years, the goji berry has been revered in Chinese medicine for its unmatched ability to promote health and to balance the body’s energies, especially the ‘vital life force’ known as chi. Long regarded as one of Asia’s best kept health secrets, this little red berry is a secret no longer. Today, the world is wild about goji, and FreeLife’s Himalayan Goji® Juice is the product that started it all back in 2003. With people everywhere experiencing tremendous results, Himalayan Goji Juice quickly became the bestselling, number one goji product in the world. And now, the best has gotten even better with GoChi. Developed as a direct result of FreeLife’s worldwide research efforts, GoChi is truly a next generation product. 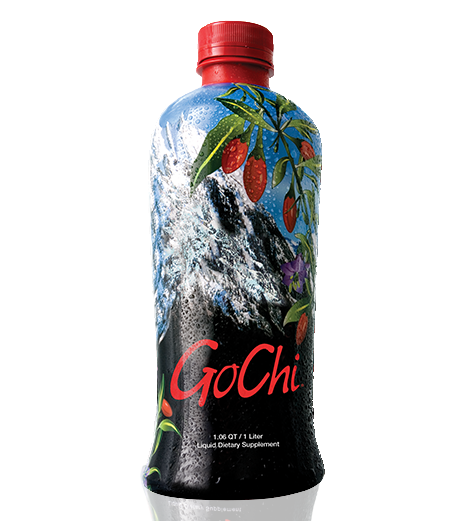 GoChi is great tasting, provides all of the goodness of Himalayan Goji Juice plus more and is preservative-free. Compared to our original juice, GoChi delivers at least 30 percent more of the important Lycium barbarum polysaccharides (LBP). And it is highly standardized to contain far more of these unique bioactive master molecules than any other goji product available. Ingredients: Proprietary HIMALAYAN GOJI Juice (reconstituted goji juice from fresh whole Lycium barbarum fruit utilizing our exclusive Spectral Signature LBP Process*), white grape juice concentrate, red grape juice concentrate, pomegranate juice concentrate, and natural flavor.